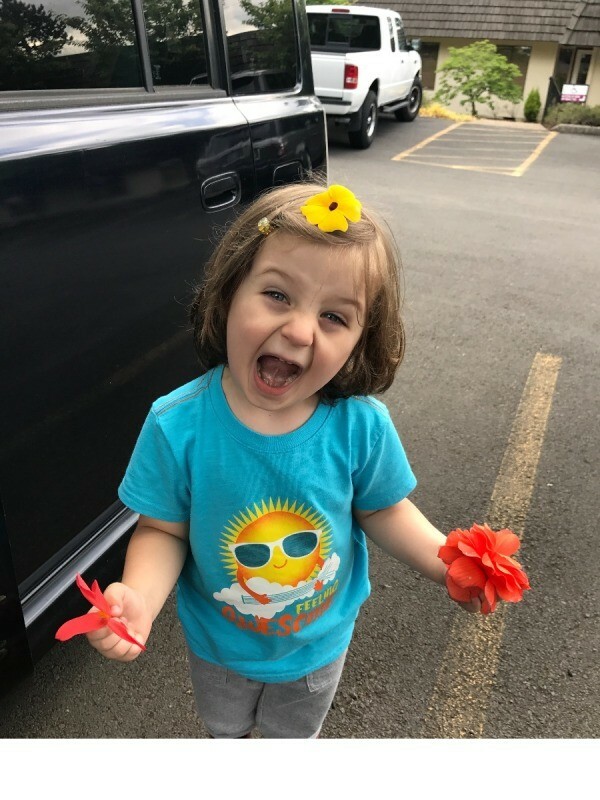 This is a guide about toddler fun with flowers. 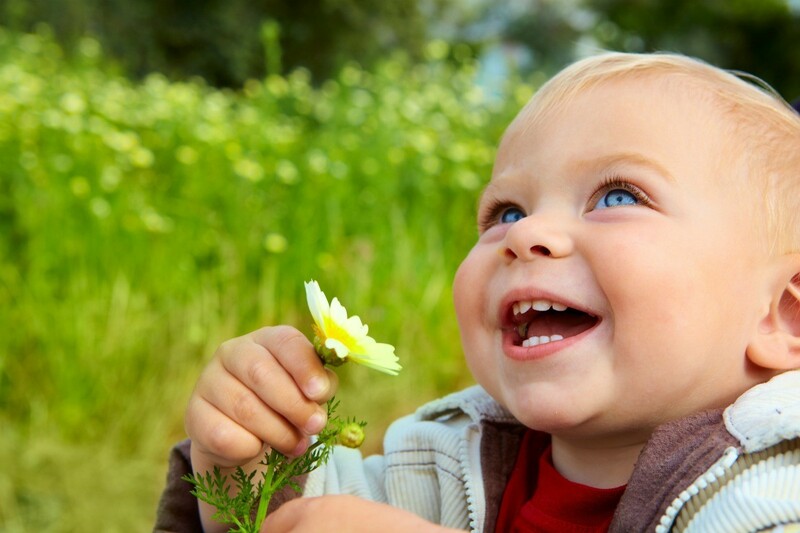 Many little kids love to pick flowers. One fun idea is to take them to a nursery and let them pick up the flowers that have fallen on the ground. It is also a great way for them to learn about the different types of flowers. Then on a trip to his nana's he picked some Johnny Jump-Ups from her garden. 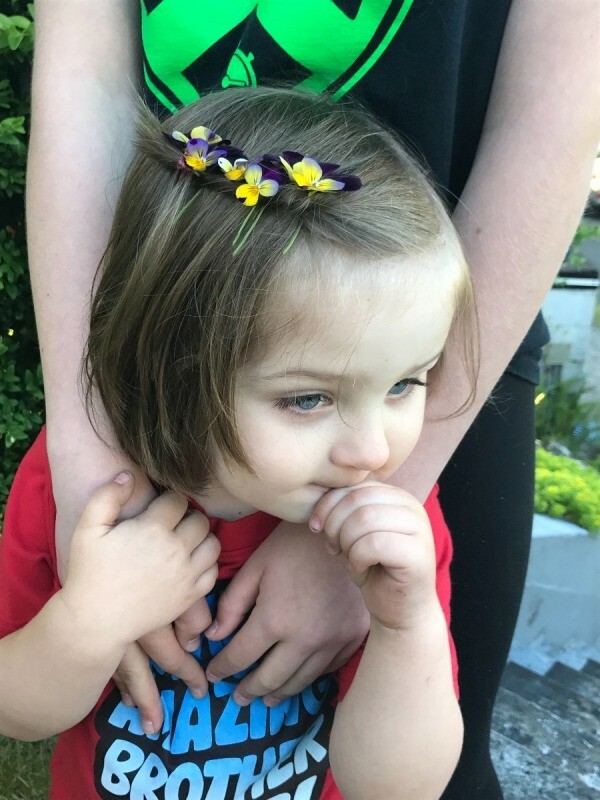 His sister decided to do his hair and include some of the flowers he had picked. He couldn't be more adorable!